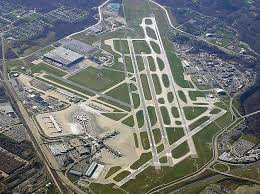 We service major and private airports including: Cleveland Burke Lakefront Airport (BKL), Cuyahoga County Airport (CGF), Cleveland Hopkins International Airport (CLE), Lorain County Regional Airport (LPR), Lost Nation Municipal Airport (LNN) and surrounding airports for your transportation and airport shuttle needs. Cleveland Taxi Limo offers the following passenger transportation services: Private Door-to-Door Service, Hotel and Airport Shuttle Service, Convention Service, Contract Transportation Service, Corporate Event Service, Quicken Loans Arena Cleveland Cavaliers games, Cleveland Browns First Energy Stadium games, and Blossom Music Center concerts by reservation. Wherever your travel plans may take you, Cleveland Taxi Limo offers a sincere commitment to friendly customer service, safety and reliability. All our drivers are professionally dressed.